If you're like me, there are a few things you dread when it comes to planning a trip: namely, booking flights and booking accommodation. Once I have my flights booked, I usually continue to procrastinate booking accommodation. I usually pore through multiple sites (Booking.com, Airbnb, Kayak, etc. 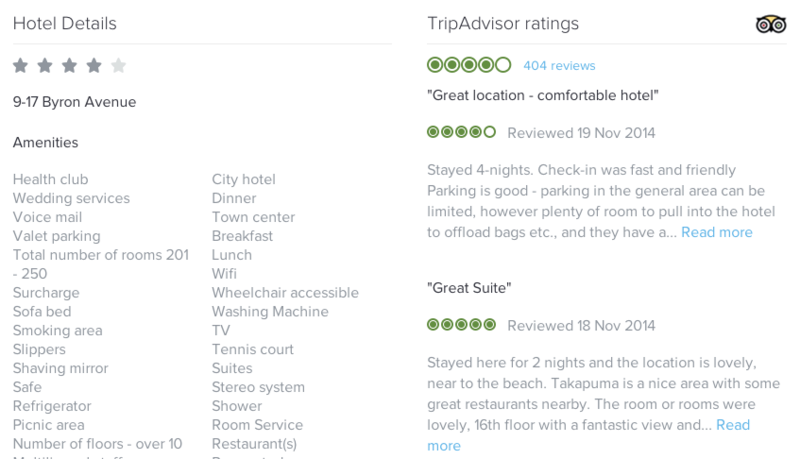 ), and then hop over to TripAdvisor to compare reviews. It's all exhausting — this is the part of travel planning that I hate THE MOST. Sometimes I wish we could regress a few decades, before Internet reviews were a thing. Because accommodation booking gives me so much stress, I almost deleted the email from a new search/booking site called Yonderbound. I have a routine — a stressful, time-consuming routine, but a routine nonetheless — when searching for hotels, and I usually don't find startup sites any better than what I normally do on my own. But Yonderbound is a little different. 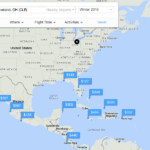 On the surface, it's not a whole lot different from other booking sites — you do searches based on a location and dates, and then are shown all the results (either in a grid-list form, or on a map). But the difference is Yonderboxes. You can make Yonderboxes for specific cities or destinations, or create ones to encompass entire trips. As you're searching for properties, you can save your favorites in a Yonderbox to come back to later. Then, after your trip, you can edit your boxes, adding notes and tips to your personal favorites. And, for those of you who have become the go-to travel agents for your friends and family since you travel so much, you may be interested to know that, if you share your Yonderboxes and someone books a hotel or hostel based on your picks, you get 70% of the net revenue back in Yondercredits to use on future bookings. It's a lot like earning credits on Airbnb by referring other people to the site — but in this case, you make money from people actually booking things based on what you've recommended. Of course, if you just want a cool, easy way to keep track of places you might want to stay (or places you've stayed in the past and don't want to forget), Yonderboxes are perfect for that, too. The user interface at Yonderbound is super clean, easy, and functional. Search results are displayed in a way that is easy to browse (either in a Pinterest-style list, or on a map), and it's not difficult to add filters for things like price, ratings, amenities, and even “freebies” like free wifi or free breakfast. Like I mentioned before, Yonderboxes are really what sets Yonderbound apart. I love being able to create these for my trips — they are an easy way to store all the “maybes” and “possiblys” to come back and look at later. 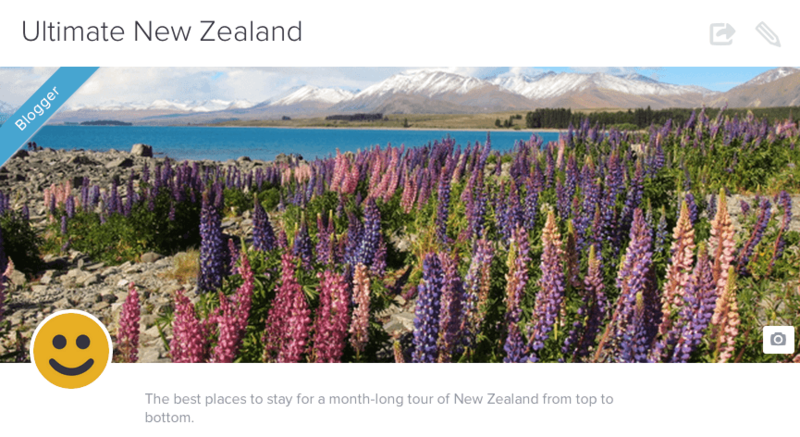 I've put together a few lists you can check out to see what they end up looking like: Ultimate New Zealand, London on a Budget, Great American Road Trip, and Tour of Scotland. You can also search for destination-based Yonderboxes on the site, which is a nice feature. I did a review of another startup booking site last year, and my biggest complaint was that, since the site was only a couple months old, it was really lacking in the number of listings it offered when you ran a search. Not so with Yonderbound — there are more than 330,000 properties listed in 195 countries all around the world! When I use a site like Booking.com to book hotels, I always like to check out the reviews. But then I sometimes pop over to TripAdvisor, too, to see what THOSE reviews are saying. This makes for quite a bit of back and forth. 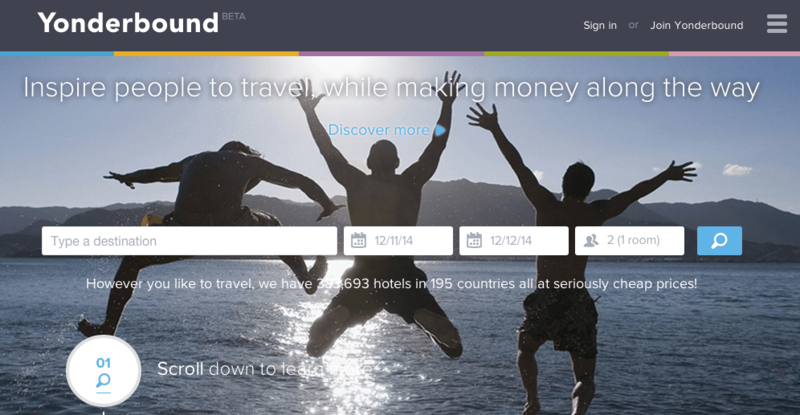 Thankfully, Yonderbound has integrated with TripAdvisor — you can read reviews right on the hotel's listing, and the previews in search results show each hotel's TA rating. When you do a search on Yonderbound, the price you see displayed is the full price you'll pay. 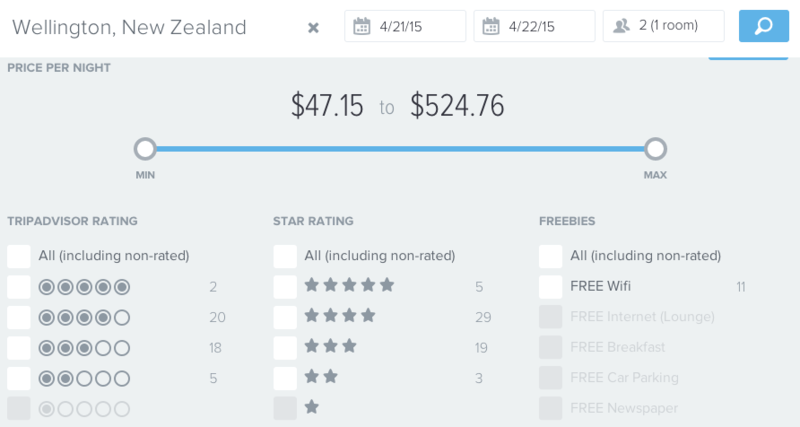 I was just severely annoyed here in New Zealand after booking a hotel room in Christchurch on Booking.com, only to realize later that the price they showed me didn't include an additional 22% in taxes and fees. Yikes! Using Yonderbound, you don't have to worry about that since they show you a price that already includes all the tacked-on extras. As I explained above, once you've created some Yonderboxes for your own trips, you can share those boxes and get a commission for any bookings that come through them. 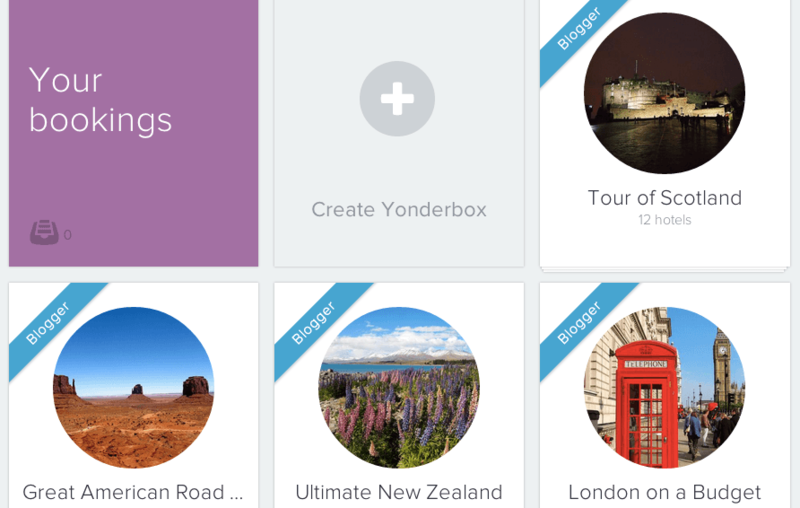 And no, this isn't just for bloggers — ANYbody can create a Yonderbox and make money from it. In some cities, I've found the same hotel listed multiple times, just with a slightly different name in the Yonderbound database. It would be great if these could be sorted through and organized a bit better so that the listings are all merged into one. In some cases, I've heard about a good hotel in a certain city and just want to check it out/read some reviews. It would be nice to be able to search for hotels without entering in travel dates — because obviously not every hotel shows up in date-based searches if they are already booked on the dates you're searching for. So what do you think? Will you give Yonderbound a try? If you're curious, sign up here and give it a go! *Note: This post was brought to you in partnership with Yonderbound and contains some affiliate links — but I would never suggest a site (or product or tour or anything else) to you that I don't stand behind (and use) myself! 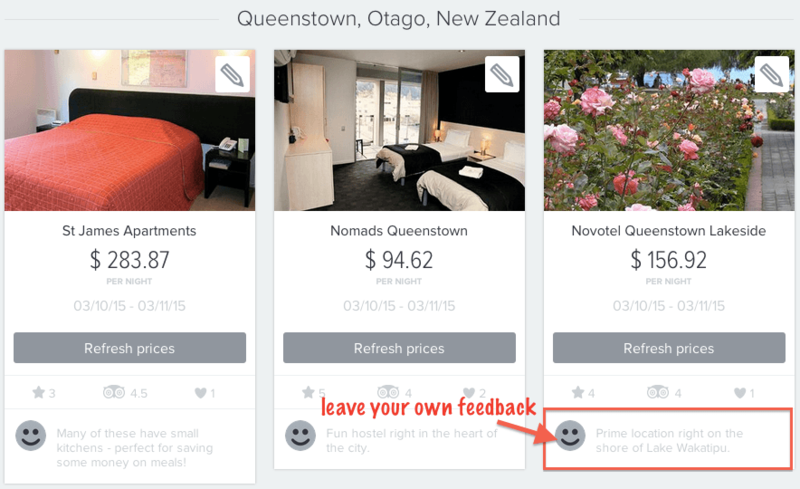 Yes it’s definitely a neat idea – people need to book accommodation anyway, so why not let them earn some credit for suggesting places to others? I’m really interested to see how the site grows, since it’s only been live since April! Hmm, I wonder if this one will last. I can’t lie, I’m always a little sceptical of travel startups in crowded spaces such as booking. I definitely understand – I usually am, too! The site is off to a really good start, though, so I certainly hope it sticks around! What a bloody brilliant concept. I will absolutely try this soon – and perhaps also a lesson for us to OCCASIONALLY pay attention to marketing emails and try something new! Yup, definitely a lesson! MOST startups won’t go anywhere. But I feel like this one definitely has potential! Gonna check that out when I travel next month. Thanks for the great share.